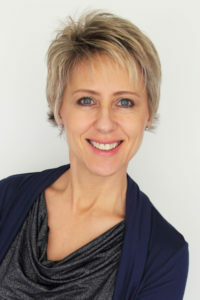 Holly Williams of the Magus Group, recently co-authored the book, Being Coached: Group and Team Coaching from the Inside. This book is written in a very engaging storytelling style, where you get the experience of what it is actually like to be a participant in a group coaching program. Please accept a free Kindle download of the book! This kind offer from the authors is ONLY AVAILABLE Saturday through Wednesday, August 15-19, 2015. What’s the difference between coaching an individual versus a group of leaders? 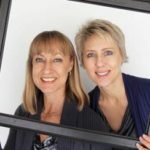 I recently became certified in the Magus Group Coaching methodology and have experienced the power of group coaching first hand. It was an exhilarating experience as I watched the transformation of twelve leaders over six months. With an individual, a coach’s attention and focus is of course on just one person, and is limited by that person’s awareness and insights. But in a group, learning occurs through multiple leaders and builds on existing knowledge. This can positively impact the culture of communication in an organization. Have you ever gained a new perspective or had an insight from somebody else’s insight? Now imagine having eleven other committed people with you on your learning journey! For those of you familiar with The Target Approach, the first four are the core competencies at the center of the Target. Join us on August 17 for The Target Approach Free Teleseminar! In the group setting, coaching presence required me to be attentive not just to one person, but to the entire room. Noticing and observing what was going on with each person, exhibiting curiosity, conveying support and empathy for their challenges, and partnering with them to choose what needed to happen in the session became easier over time. Just as with individual clients, we never know what is on their agenda until they show up, it’s the same in group coaching. The agenda is created in the moment by the participants’ needs, not the coach’s pre-determined content. Between group sessions, participants engaged in fieldwork, reading, practice and peer coaching. This integrated structure into the program provided a framework for learning and development outside of the group sessions. During the sessions, I engaged by asking questions, listening, probing, and making direct observations. The most frequent observation I made in the beginning was that they often slipped into “advice giving” mode with each other. Providing such feedback in real time helped them all gain greater awareness of how they were showing up as leaders. With individual clients, you don’t always have clear sight into their actual behaviors back at work. The power of group coaching is that awareness and development come from a variety of sources. The assigned fieldwork provides the learning content, discussing their personal insights in a group setting expands their understanding from multiple perspectives, and peer coaching serves as their practice partner before they go out and try things on the job that they have never tried before. The structure of practice and integration over time supports leaders in not only creating new behaviors, but also in developing lasting behavior change. Leaders begin to experience themselves and others more expansively and make much faster progress than if they were “going it alone with a coach.” Over time the group steps forward and the coach becomes secondary as leaders begin to take ownership of their learning and the development of others. Group coaching, by design, is structured to promote self-driven progress and accountability – exactly what coaching is all about. 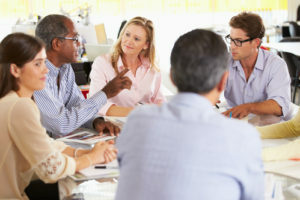 The ultimate gold of group coaching though is developing a culture of more active listening, inquiry and curiosity that begins to filter further into the organization. So, if you have ever wondered about group and team coaching and how you might add it to your list of services Being Coached is a must read. REMEMBER TO DOWNLOAD YOUR FREE COPY! The authors have generously provided you with a free Kindle version of their book, Being Coached: Group and Team Coaching from the Inside This offer is ONLY available Saturday through Wednesday, August 15-19, 2015. If you own a Kindle, you have access to read at any time via the Kindle Owners Lending Library. Feel free to forward this blog and link to anybody you think might benefit from understanding what they can expect from being coached, or to those interested in learning more about group and team coaching. Do you need to renew your ACC by December 31, 2015? Are you preparing for your first or next ICF Credential? September 8, 2015 – only 1 place remains!